- How Much More Does Brazile Know? While former interim chair of the DNC, Donna Brazile, has made a recent splash with her book detailing how the Clinton campaign not only took over the DNC even before she was nominated as a presidential candidate, but how the primaries were "rigged" to make sure that she and not Bernie Sanders was nominated. Other details provided by Brazile painted both Obama and the whole DNC apparatus in a very bad light, all managing to dominate the headlines, but her specific mentions of murdered DNC staffer Seth Rich in her book, subsequent interviews, and the dedication of her book, once again brings up the inconsistencies and questions regarding his mysterious death in the midst of the 2016 presidential campaign. 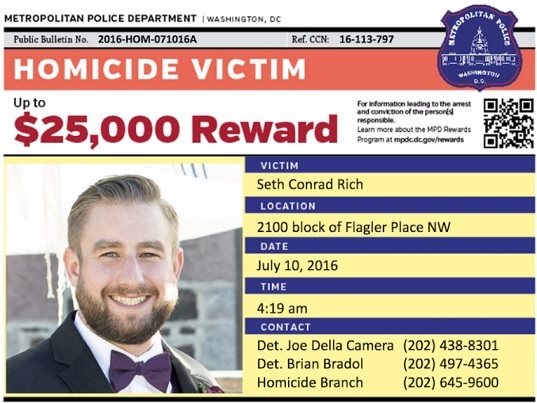 DNC Data Analyst Seth Rich was shot in the back twice on July 10, 2016 while walking in his neighborhood, the police claimed it may have been an attempted robbery gone bad, and the case is still open to this day. Independent studies have found that narrative to be unlikely, stating that it was more likely Rich was murdered by either a "hired killer" or a "serial killer." Rich's death came just 12 days before Wikileaks started publishing the DNC leaked emails which exposed ow the committee had been actively working in favor of one candidate, Hillary Clinton, over the other Democratic candidate, Bernie Sanders, which resulted in DNC chair Debbie Wasserman-Schultz being forced to resign her position as chair just a day before the DNC convention. 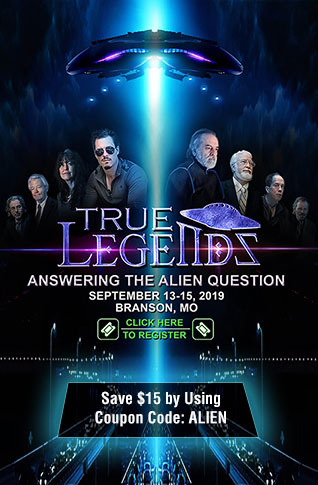 While the media continues to claim that it was the "timing" of his death that "provoked theories that Rich had given the materials to WikiLeaks and that his death was an attempt to stop him from doing so, or to punish him for it," as NewsWeek claims, in reality it was an interview with Julian Assange, founder of Wikileaks, that highlighted the "risks" that whistleblowers take, right before he used Seth Rich's murder as an example of those risks, that caused the most vocal criticisms of the "official" story of a botched robbery being the cause of Rich's death. 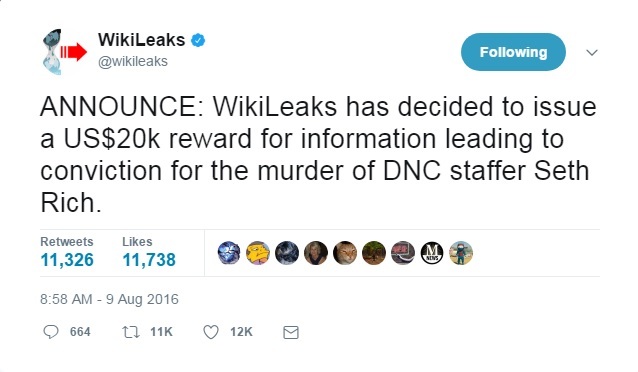 That interview was published the very same day that Wikileaks offered a $20K reward for "information leading to conviction for the murder of DNC staffer Seth Rich." It has also been reported that Seth Rich was a Bernie Sander's supporter with theories that he leaked information to Wikileaks when he discovered how the DNC was actively working with the Clinton campaign against Sanders who was Clinton's primary opponent. That is the basic background on the murder, the timing, the claims by Assange versus the claims of the DNI report. After Politico published an excerpt from Donna Brazile's book, detailing the discoveries she made after Wasserman-Schultz was forced to step down and the mess she discovered when she was named interim chair, as well as the "agreement" between the Clinton campaign and the DNC giving Clinton control of many aspects of the DNC, before she was officially the nominee, the Washington Post (archive.is link here) reported that "she was haunted by the still-unsolved murder of DNC data staffer Seth Rich and feared for her own life, shutting the blinds to her office window so snipers could not see her and installing surveillance cameras at her home" once again bringing Seth Rich and the fact that the official investigation has gone nowhere, back into the spotlight. In a recent interview where Brazile was telling those criticizing her for her revelations in her book to "go to hell," she once again made it a point to reference Seth Rich, by stating "Here is what they don't know, they don't know what it was like to be over at the DNC during this hacking. They don't know what it is like to bury a child, I did: Seth Rich." The Daily Caller reports that Brazile had a "spook" with connections to the intelligence community, who told her after Rich's murder that "she needed protection for herself, including cameras, alarms and backup power at her house, and that she heeded his advice." This is not the first time Brazile has made headlines in relation to the Seth Rich murder, as back in May 2016, it was reported by WND that veteran homicide detective Rod Wheeler, who was hired by a third party to independently investigate Rich's murder, claims that during his investigation, it was Donna Brazile who allegedly "called police and the family of murdered DNC staffer Seth Rich and demanded to know why a private investigator was 'snooping' into Rich’s death." Wheeler told WND. Until this book release, Brazile was a die-hard Democratic team player, so much so that she even secretly slipped Hillary Clinton one of the planned questions before one of her debates, which she first denied after Wikileaks exposed it, then admitted to it, saying is was something she regretted doing, yet now with the release of the book, liberals are declaring her a traitor for airing their dirty laundry, and it has become obvious she that she knows quite a bit about the corruption within the DNC and the Clinton campaign, and she is exposing it. Given that she finally has come out and admitted how much she found out when she stepped up to replace Wasserman-Schultz as DNC chair, how much more does she know about Rich and his murder than what she previously admitted to? If Brazile truly believed that Seth Rich's murder was a "random" botched robbery as authorities have claimed, despite none of his personal items having been stolen, they why would his death make her fear for her own life?